An oft-quoted Buddhist koan states: If a tree falls in a forest and no one is around to hear it, does it make a sound? The same holds true for companies (as well as individuals) who perform acts of goodwill in their communities or provide other support for worthy endeavors as they seek to manage their brand reputations. Unless you can make people aware of the good deed you’re doing, how can you expect to get credit for it in the public eye? As a general rule, people like to read or hear about people or organizations who are active in community outreach – or even a good deed that has an original aspect to it. Even so, there must be some kind of compelling message in order to make your story connect with your intended audience. Any number of factors might be taken into consideration when trying to develop your story. Who is your audience? What’s the purpose of the story – what are you trying to accomplish? What makes this story different from other, similar stories? Is there some greater meaning or issue to which you can tie your story? How will this impact your brand reputation? If your story involves some special event that you want media to cover, do the timing and location make it easy for media to attend? Another factor – one that rarely can be controlled – is what other news stories are taking place that same day. By way of example – one of our clients, a leading national hospice and palliative care provider, sponsors an organization-wide “Gift of a Day” program that tries to bring to life each patient’s personal vision of what their own perfect day might be. Each year, the company undertakes dozens, if not hundreds, of such Gift of a Days at its multiple locations across the country. Not all the gifts are media-worthy – in fact, many of the patients/recipients and their families prefer to keep the affair private. Many of the gifts are simple – a meal at a restaurant with family or friends, a rare trip to the beauty salon, a visit with a favored pet. Others are a little more involved – concert tickets for a favorite performer, a chance to ride in a vintage car or truck, a visit with a noted celebrity. 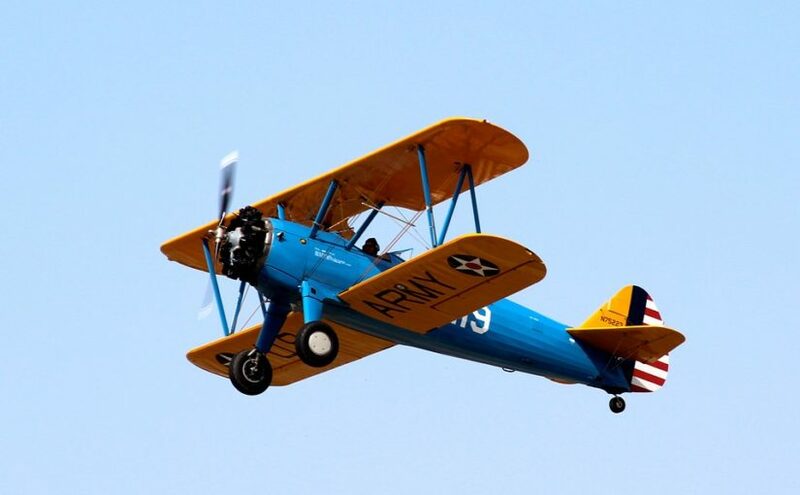 Recently, social workers at one of the company’s 11 locations arranged for their patient to be taken for a last airplane ride over his beloved Kansas fields in a vintage World War II biplane. What made the gift especially poignant was the fact that the patient had served his country as a Navy pilot during World War II, and later during the Korean and Vietnam war eras. He was also a local man, born and bred in the community that he still called home. Thus, the event was both a “gift” to the patient, and a community outreach effort to engage citizens in honoring a patriotic local veteran who had given many years of service to his country. The media advisory highlighted his patriotic service and also offered some stunning photos of the same biplane during previous flights. The flight itself was scheduled for early Saturday afternoon on Labor Day Weekend. This would give local TV news crews enough time to do filming, interviews and get back to the station to edit and prep for the late afternoon or evening news. The patient’s daughter helped with the logistics, and also provided a touching on-camera interview describing what the gift meant to her father. It also helped that the patient himself was lucid, communicative, and even displayed a whimsical sense of humor as the cameras rolled during the time he was being strapped in for his upcoming flight. Several local TV stations indicated interest in covering the story. But because it was a weekend, fewer camera crews were available than normal. One was all that was needed, though. The local Kansas City Fox affiliate, @fox4kc, came out to film the event, and interview the patient and his daughter, as well as a spokesperson for our hospice client. That night, the story aired on the 10:00 news featuring the interviews as well as footage of the vintage biplane performing in flight. It was a colorful, heart-warming story – one that paid tribute to a local hero while giving credit to our client for arranging the happy event. In a matter of hours the story was picked up by the Fox national news desk and distributed to affiliates across the nation, including several of our client’s other service regions – thus reinforcing the company brand far beyond the one local market. In addition, several website storytellers adapted the story for their own affiliated networks, including CNN and Accu-Weather news amalgamators. All told, the story resulted in more than 43 million reader and viewer impressions ranging from Hawaii to the East Coast and even beyond. It was a great experience – for everyone involved. What began as a good deed in a local market became a great national news story that warmed hearts and enhanced our client’s brand reputation throughout the country.